Home / Entertainment News, News, Videos / Traffic Cops busted this school van that is supposed to carry 14 pupils carrying 48 (VIDEO). 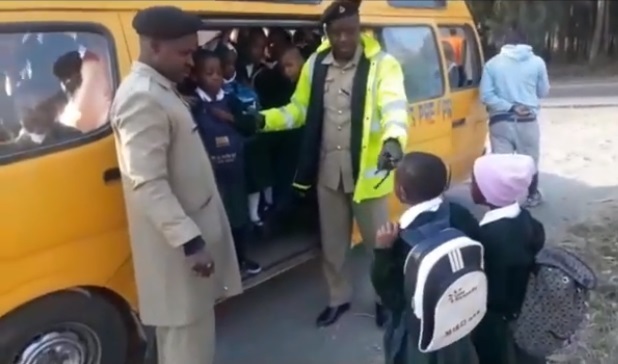 Traffic Cops busted this school van that is supposed to carry 14 pupils carrying 48 (VIDEO). Thursday, September 6, 2018 - A rogue and careless driver of this school van was busted transporting innocent kids like cabbages. The school van which is supposed to carry 14 pupils was carrying 48 kids. Just imagine what would happen in case of an accident.